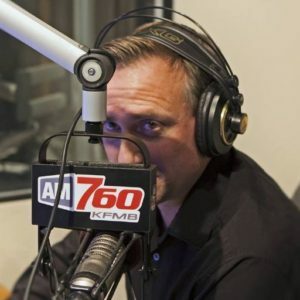 Brett Winterble, popular radio host on KFMB 760, will be our featured speaker as we kick off the fall season luncheons Sept. 12 at The Brigantine. Winterble is appreciated especially because of his insights on interesting current events and his humorous, high energy style. Before he came to his current position, he was executive producer of the Roger Hedgecock show among other positions. A very interesting tidbit about Winterble: he produced and screened calls for six years as Mr. Snerdly for Rush Limbaugh! This is a program you won’t want to miss and we hope you’ll join us. Check-in time for the 11 a.m. meeting is 10:30. A full-course lunch will be served at noon with Winterble’s talk following at 12:30 p.m. Cost is $25 and reservations are required. RSVP to NCRWF99@gmail.com (put luncheon rsvp in subject line) or call Marjie at 619-990-2791. Our annual fundraiser and fashion show is Oct. 10 from 11 a.m. to 2 p.m. in the pavilion at the Bali Hai, 2230 Shelter Island. Fashions this year will be by Glamour Girlz and the event will include a luau buffet, no-host bar, opportunity baskets which includes a Mystery Box, Pot of Gold, an assortment of restaurant gift cards and a ‘road show’ of holiday-only items. Cost is $40 per person. RSVP to NCRWF99@gmail.com or call 619-990-2791. You can mail checks to Navajo Canyon RWF, 2295 Needham Rd #4, El Cajon 92020. Glamour Girlz’ presentation will include fashions, accessories, jewelry, and gifts, many of which will be available to purchase. We are so pleased that long-time friend Monica Zech will be our emcee. Since the Mission Times Courier is published after the date of the fashion show, we hope you will refer to our website, navajocanyonrwf.org for more information on the show and on all our other activities. You can also like us on Facebook. We had a full crowd and a lot of fun and good conversation at our Navajo Nights in August. We can’t wait to do it again! We’ll meet again on Nov. 14 for our regular luncheon at The Brigantine in La Mesa. —Judy McCarty is publicity chair for the Navajo Canyon Republican Women, Federated. Reach her at jhmccarty@cox.net.